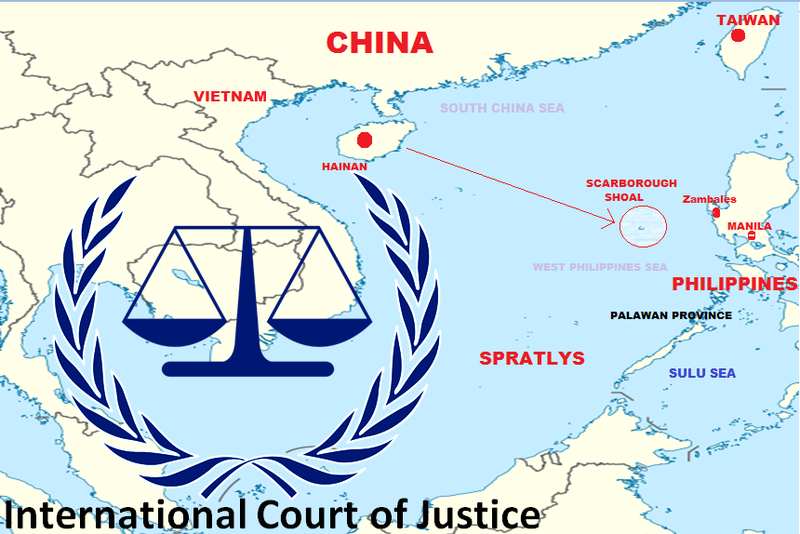 China has rejected the Philippines' appeal to take the dispute over Scarborough (Panatag) Shoal to an international court. Foreign Ministry spokesman Liu Weimin said Wednesday that China has evidence to prove its ownership of the shoal, where military vessels of both countries have been facing off since last week. The Philippines said the shoal is well within the country's 230-mile (370-kilometer) exclusive economic zone that is recognized under the U.N. Convention on the Law of the Sea. Liu said that claim is "completely baseless." 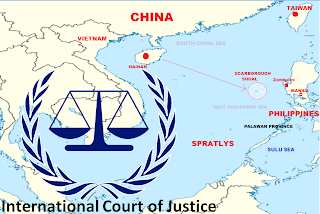 The Philippines is appealing to China to bring the dispute before the International Tribunal on the Law of the Sea (ITLOS). In a statement released to on Wednesday, the Department of Foreign Affairs (DFA) reiterated that the shoal is part of Philippine territory, and actually part of a province in Luzon, called the Bajo de Masinloc. "Bajo de Masinloc is an integral part of the Philippine territory. It is part of the Municipality of Masinloc, Province of Zambales. 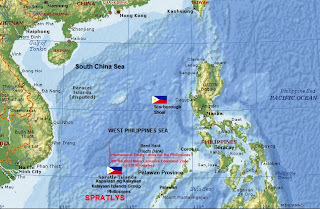 It is located 124 nautical miles west of Zambales and is within the 200 nautical-mile Exclusive Economic Zone (EEZ) and Philippine Continental Shelf," the DFA said. The DFA also debunked China's "historical" claim over the shoal. It said that the claim has yet to be substantiated "by a clear historic title." "It should be noted that under public international law, historical claims are not historical titles. A claim by itself, including historical claim, could not be a basis for acquiring a territory," the DFA said. Malacañang, meanwhile, reiterated that the Philippines will continue to look for "diplomatic, legal and peaceful" means to resolve the dispute over the shoal. Communications Secretary Ricky Carandang said in a press briefing in Malacañang that the best way to resolve the dispute is through international law and international legal procedures. "The best way to resolve the issue is through international law and international legal procedures which all nations have promised to adhere to so we are looking for peaceful and clear solutions to the issue...," Carandang said. He said that part of the government's effort to solve the issue through international procedures is the DFA's appeal to China to settle the dispute in the ITLOS. "... as the President said, we don't intend to go to war over this. If we can resolve this diplomatically, peacefully and legally then that is what we are going to do., so in adherence with our stand that it should resolved in consistency with the international law, that is what we are asking from China," he added. China summoned a diplomat from the Philippines for a second time on Wednesday to protest Manila's claim over an area of the South China Sea, a foreign ministry spokesman said, as the standoff between the two countries showed no sign of ending. The most recent dispute is well into its second week, with a Philippine coast guard ship and two Chinese maritime surveillance vessels faced off near the Scarborough Shoal in waters believed to be rich in oil and gas. Vice Foreign Minister Fu Ying "urgently summoned" the Philippines Charge' d'affaires, Alex Chua, on Sunday and again on Wednesday, Foreign Ministry spokesman Liu Weimin told reporters. "She pointed out that the Philippines military vessels' harassment of Chinese fishermen and fishing boats have drawn the close attention of China," Liu said. "We hope the Philippines side will honor its commitment and withdraw its ships from the relevant waters immediately, so that the waters of Scarborough Shoal /Panatag Shoal (Huangyan island) can return to peace and stability." The small group of rocky islets, known in the Philippines as the Panatag Shoal but which the Chinese call Huangyan, is about 124 nautical miles off the main Philippine island of Luzon, near a former U.S. Navy base in Subic Bay. The Philippines is to ask China to agree to take the dispute to an international court. Liu stress Beijing's position that the islands are part of China's "inherent territory", adding that "China was the first to discover and name the Huangyan island, the first to list it into China's territory and to practice sovereign jurisdiction". The Philippines Foreign Affairs Department said on Wednesday that "a claim by itself, including historical claim, could not be a basis for acquiring a territory". Philippine Foreign Affairs Secretary Albert del Rosario said he summoned China's ambassador to Manila, Ma Keqing, for talks last week. 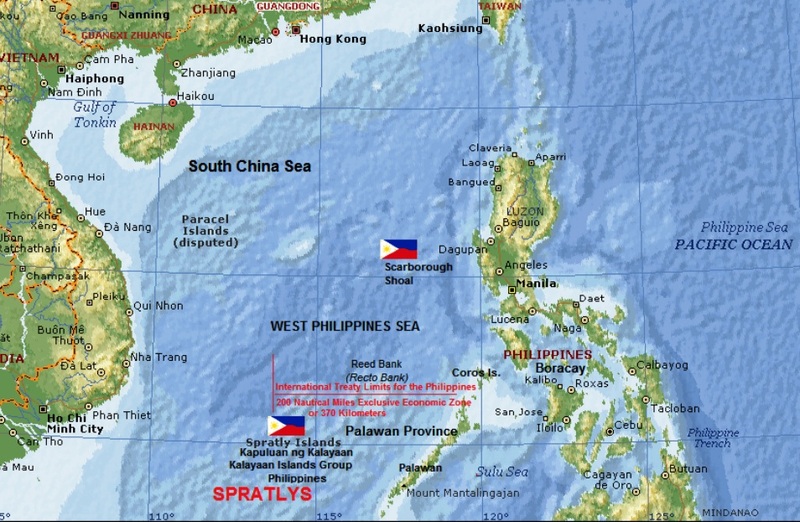 The dispute is one of myriad of conflicting claims over islands, reefs and shoals in the South China Sea that pit China against the Philippines, Vietnam, Brunei, Malaysia and Taiwan. Tension has risen in the past two years over worries China is becoming more assertive in its claims to the sea which straddles shipping lanes between East Asia and Europe and the Middle East.